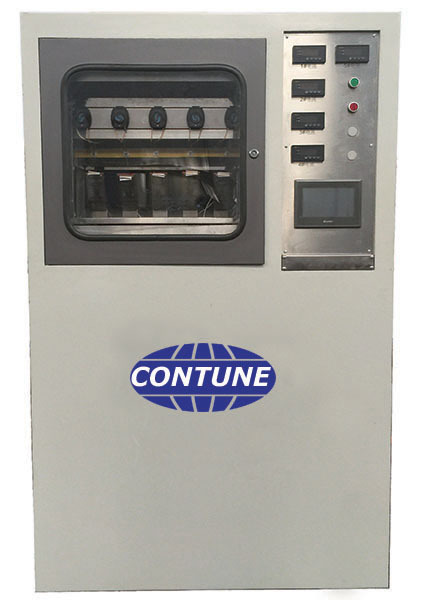 Tracking & Erosion tester is used for tests of silicon rubber shed and hoursing of electrical polymeric insulator. It is to test the anti-trancking and erosion ablility of its silicon rubber material as per IEC or DIN EN standard under simulation of acid-erosive rain environment with contaminated liquid. 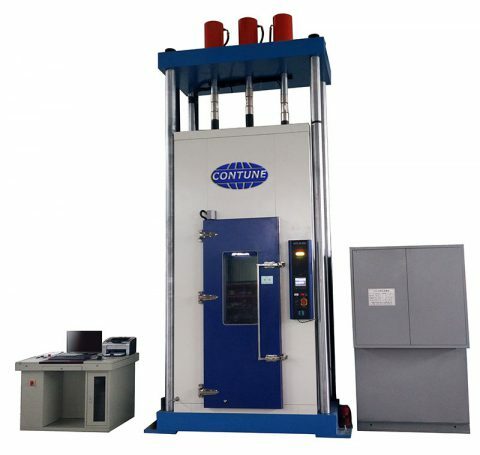 Tracking & Erosion testing machine is desgined for silicon rubber shed and polymeric hoursing of electrical composite insulator. It is to test the anti-trancking and erosion ablility of silicon rubber material. The testing methods and acceptance criteria shall subject to “9.3 Tests of shed and housing material” in IEC 62217-2012 “Plymeric insulators for indoor and outdoor use with a nominal voltage > 1000V – General definitions, test methods and acceptance criteria”. 11. Adjustment of tracking: According to IEC60587-2007, specimen is set under voltage of 2.5KV，3.5KV，4.5KV and certain flow of polluted liquids, no overcurrent under 60mA in 6 hours, then test passes. 15. Controlling device: Brand PLC and touch board with advantage of precise control and easy operation, personalized design, reports will be automatically created after tests and tests result can be print on thermal printer.